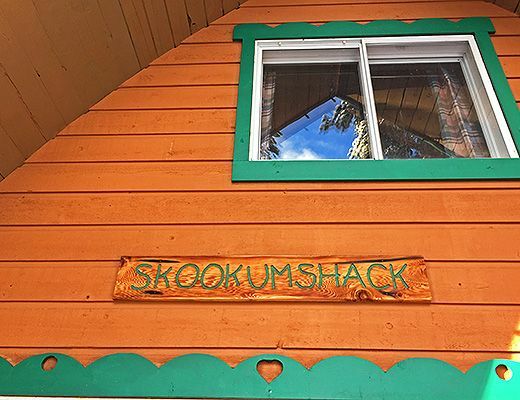 The Skookum Shack offers an Authentic Cabin Experience! 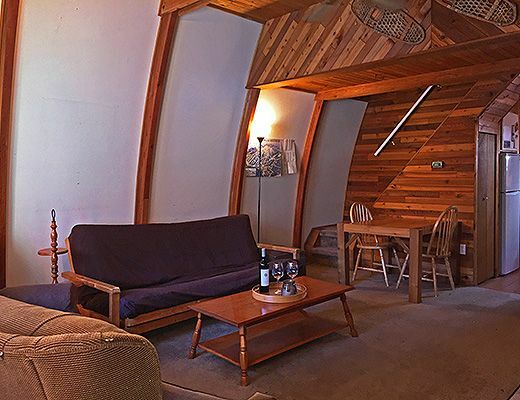 The living room incldes a Double futon, log burning fireplace, flat screen television with DVD player and wifi. 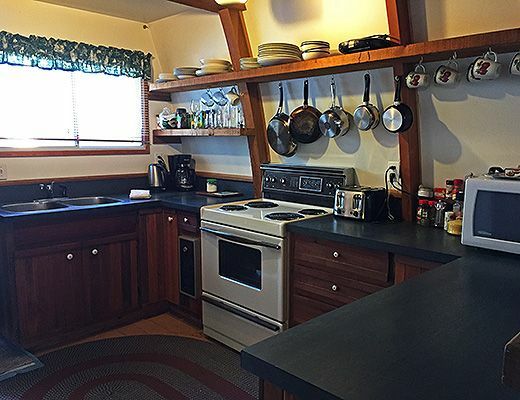 The kitchen is fully equipped with fridge/freezer, oven/stove and microwave â€“ island seats 3 â€“ dining table seats 4. 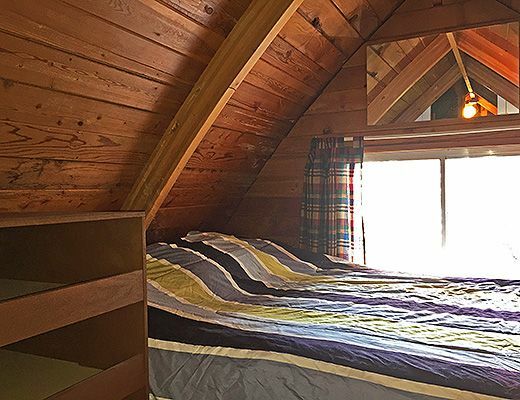 Each of the two bedrooms are furnished with a Queen size bed. 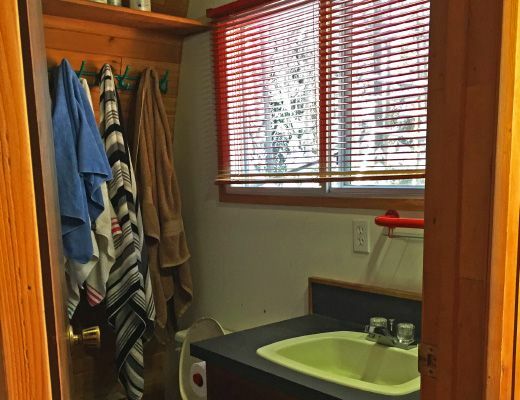 The property includes 1 full bathroom with shower, sink and toilet. 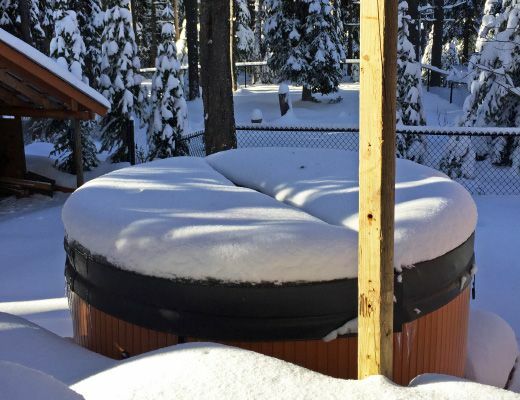 Additional Features include a covered deck with a private hot tub and barbecue grill. 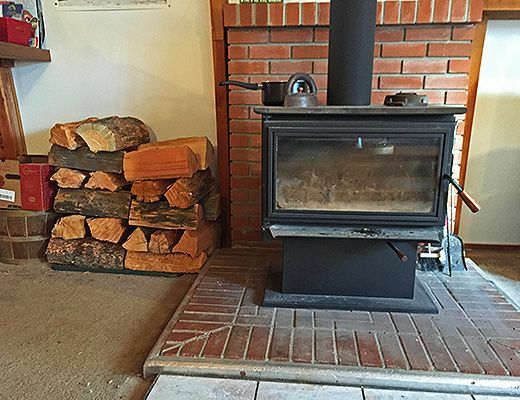 Private yard and dog friendly. 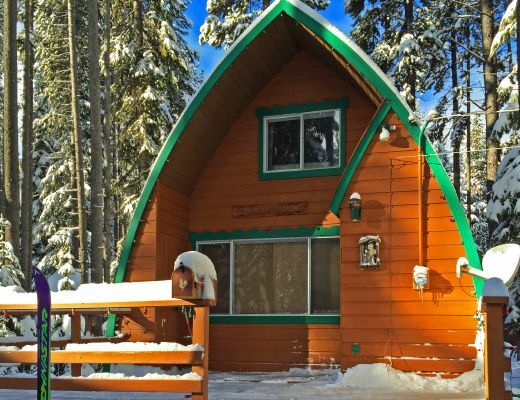 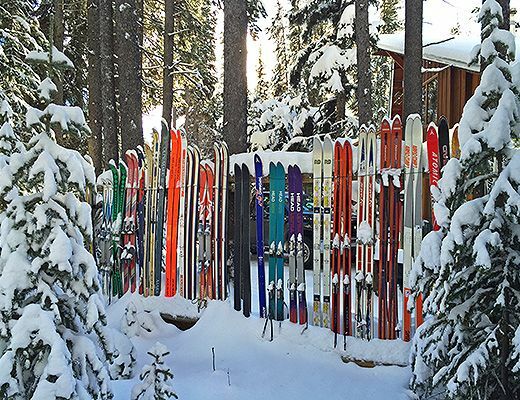 Access to storage for ski, large front deck. 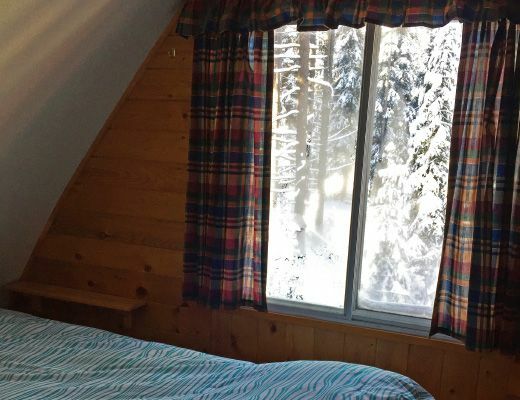 This property is a 2 minute drive or 10 minute walk to the lifts.